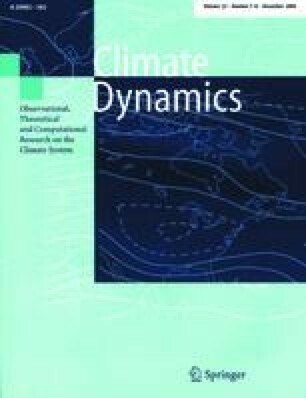 This work presents an analysis of simulated temperature and precipitation variability and trends throughout the twentieth century over 22 land regions of sub-continental scale in the HADCM3 and HADCM2 (two realizations) coupled models. Regional temperature biases in the HADCM3 and HADCM2 are mostly in the range of –5 K to +3 K for the seasonal averages and –3 K to +2 K for the annual average. Seasonal precipitation biases are mostly in the range of –50% to 75% of present day precipitation, with a tendency in both models to overpredict cold season precipitation. Except for cold season temperature in mid- and high-latitude Northern Hemisphere regions, the average climatology of the HADCM2 and HADCM3 is of comparable quality despite the lack of an ocean flux adjustment in the HADCM3. Both models show warming trends of magnitude in line with observations, although the observed inter-regional patterns of warming trend are not well reproduced. Measures of temperature and precipitation interannual to interdecadal variability in the models are in general agreement with observations except for Northern Hemisphere summer temperature variability, which is overestimated. The models somewhat underestimate the inter-decadal variations in interannual variability measures observed during the century and overestimate the range of anomalies. Both models tend to overpredict the occurrences of short persistences (1–3 years) and underpredict the occurrence and maximum length of long persistences (greater than three years), which is an indication of a deficiency in the simulation of long-lived anomaly regimes. Compared to observations, the models produce a higher magnitude of temporal anomaly correlation across regions and correlation between temperature and precipitation anomalies for a given region. This suggests that local processes that may be effective in decoupling the observed regional anomalies are not captured well. Overall, the variability measures in the HADCM2 and HADCM3 are of similar quality, indicating that the use of a flux correction in the HADCM2 does not strongly affect the regional variability characteristics of the model.